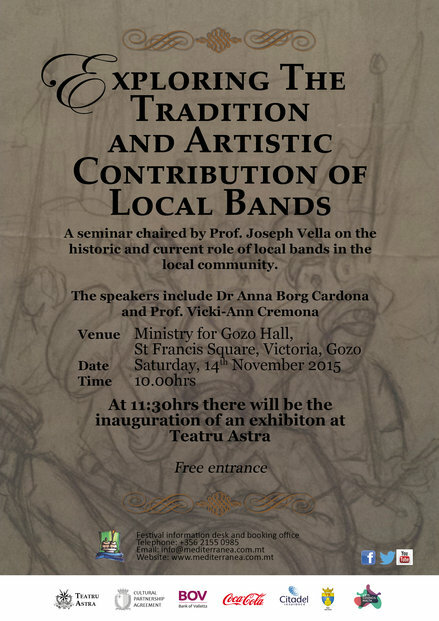 A seminar on the historic and current role of local bands in the local community. The seminar will be chaired by Prof. Mro Joseph Vella and the speakers include Prof Vicky-Ann Cremona and Dr Anna Borg Cardona. This will be followed by an inauguration of an exhibition at Teatru Astra on the same theme.